The performing arts program at Trinity builds confidence in self-expression, develops the creative process and cultivates an appreciation of the human experience. Trinity’s music program is renowned throughout the Richmond area, and students consistently receive recognition at the local and state level. 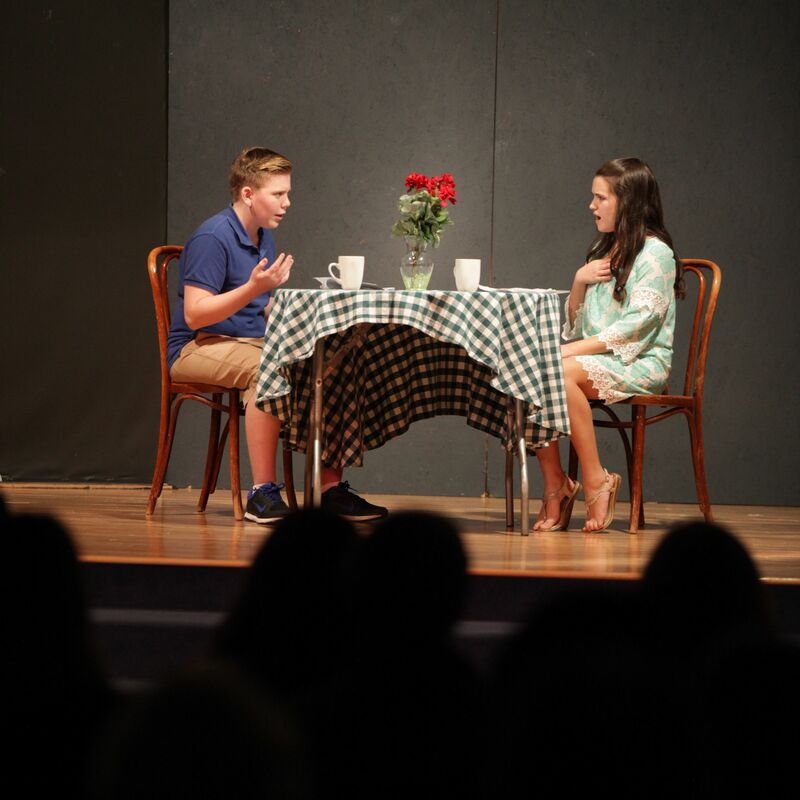 Trinity’s theatre program integrates design, theatre tech, acting and production in a challenging and dynamic set of course offerings. Creativity is alive in the classroom and throughout campus. Students have the chance to perform throughout the year with four music concerts and two theatrical productions per year. Each semester concludes with a festival that showcases all of the performing groups. Additionally, student bands and solo musicians can perform in the courtyard during lunch at Pach’s Place. Trinity’s annual performing arts revue, Cabaret, showcases student and faculty performers of all types. Student performance groups include a string orchestra, chorus, a capella club, and concert, jazz and pep bands. 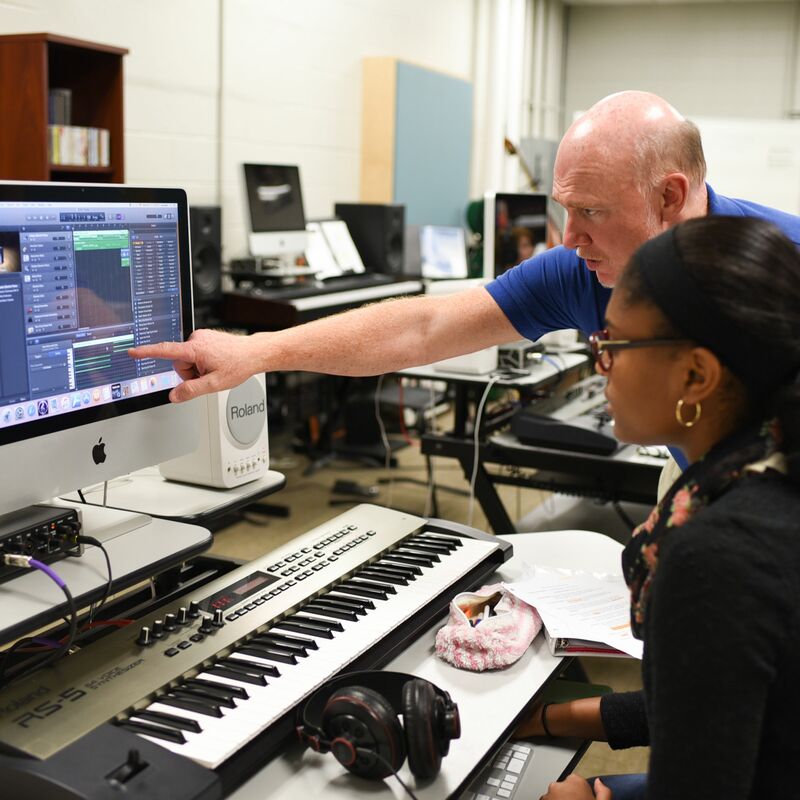 The performaing arts curriculum includes drama, technical theatre, music theory and composition, digital music production, studio music production, IB music, chorus, and, of course, instrumental instruction. With course offerings in band, orchestra and guitar, students can have their pick of instrumental instruction. In keeping with the school’s mission, there are sequenced courses in every means of expression for beginners all the way through the advanced and IB courses.